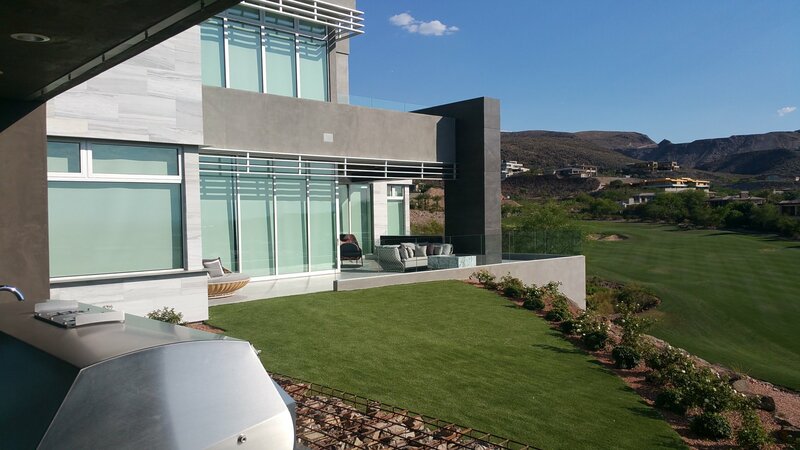 Majestic Rim is a stunning hilltop property designed and built in MacDonald Highlands by Blue Heron. 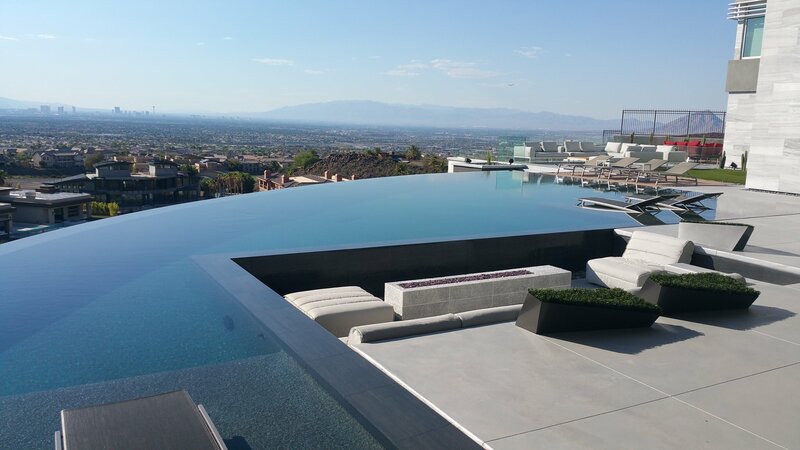 Situated perfectly to capture views of the glittering Las Vegas Strip and the sunset, this family home is truly incredible. 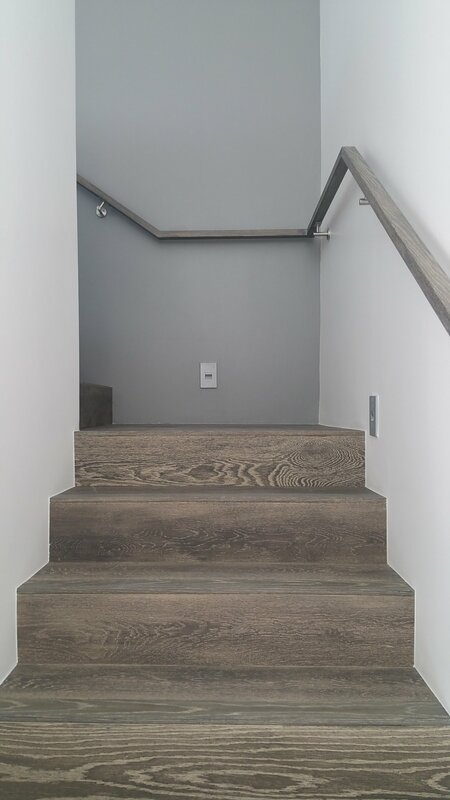 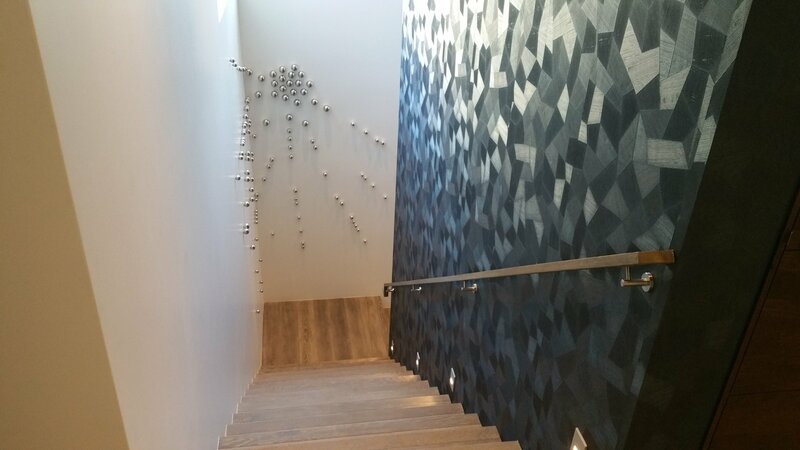 JD Stairs was honored to handcraft many of the show-stopping elements within the space, including a wine cellar door that becomes invisible when closed. 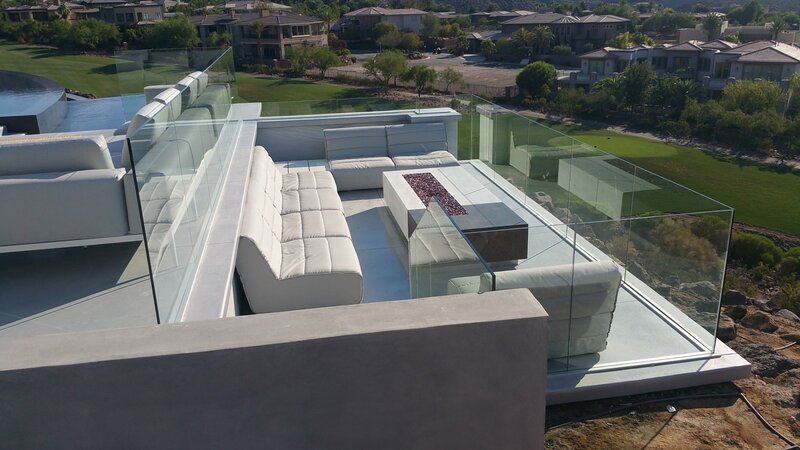 Elegant glass rails set into the home’s exterior lounging area offer not only wind protection, but allow for unobstructed views from every direction. 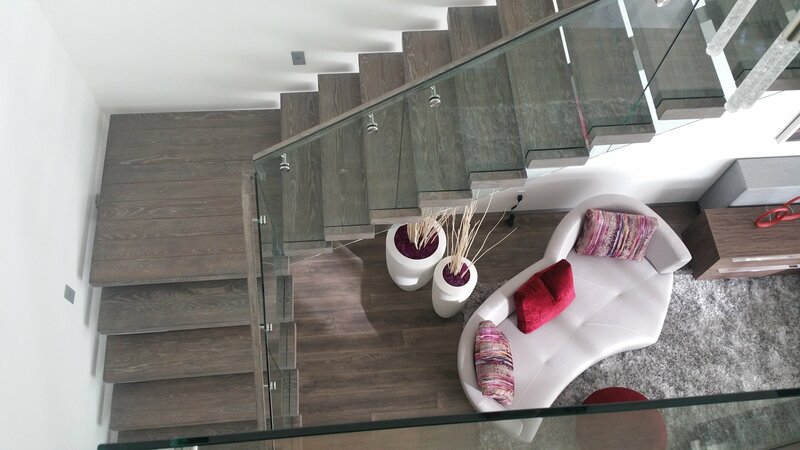 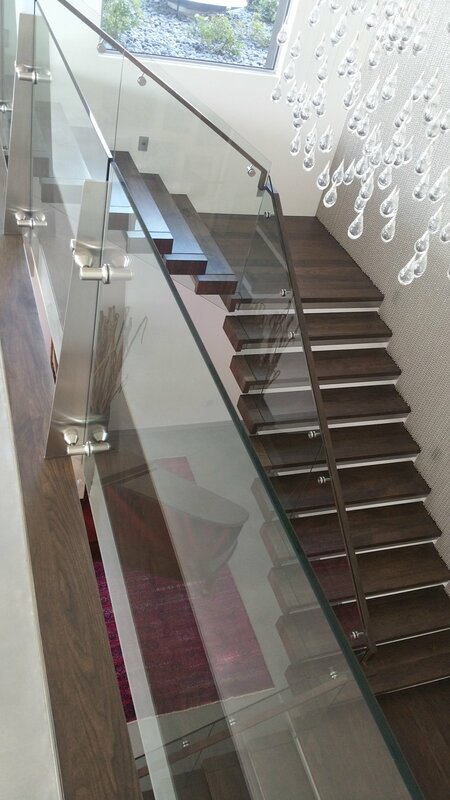 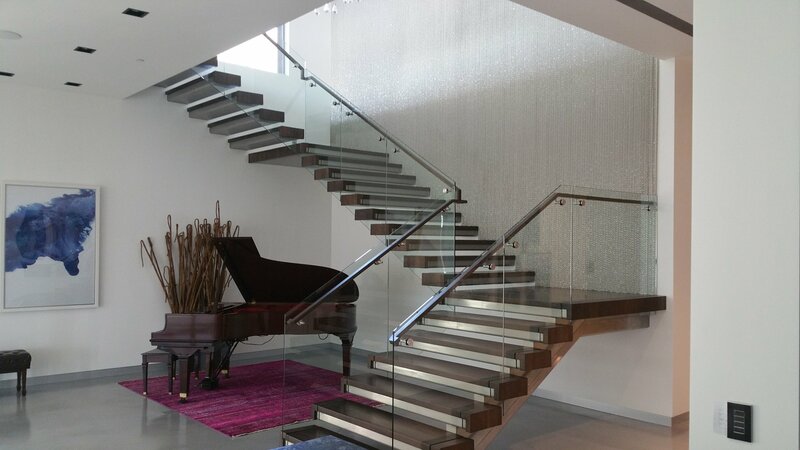 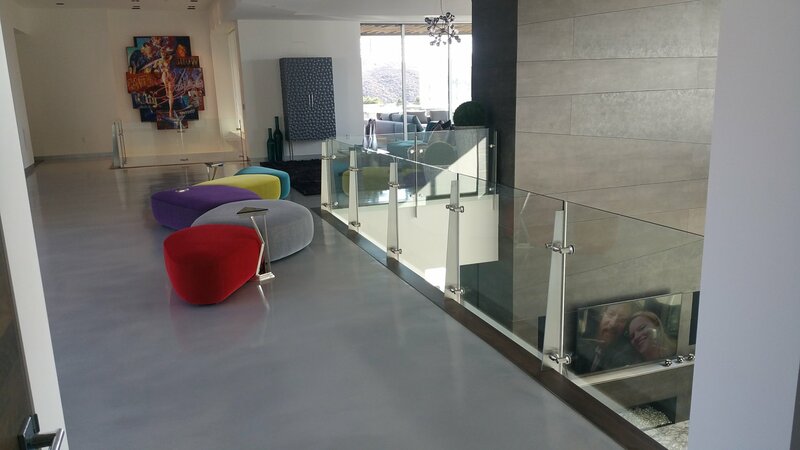 Within the home and casita, glass rails allow you to see through and beyond, giving the illusion of grand space. 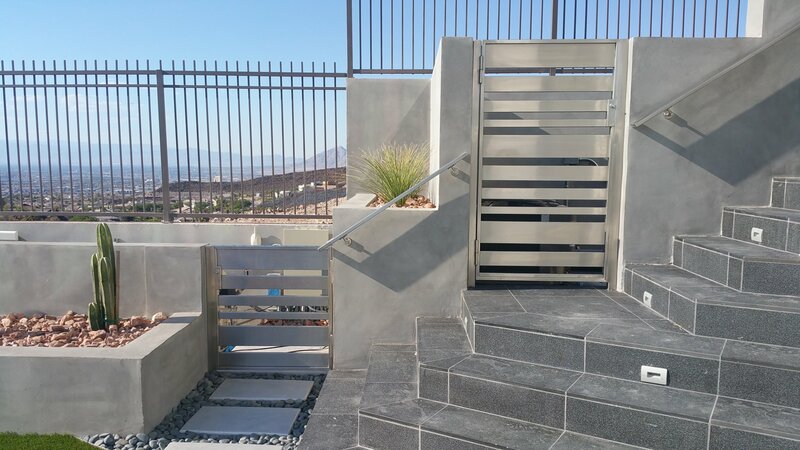 One design challenge we encountered was how to create aluminum louvers that wouldn’t interfere with the large automatic windows. 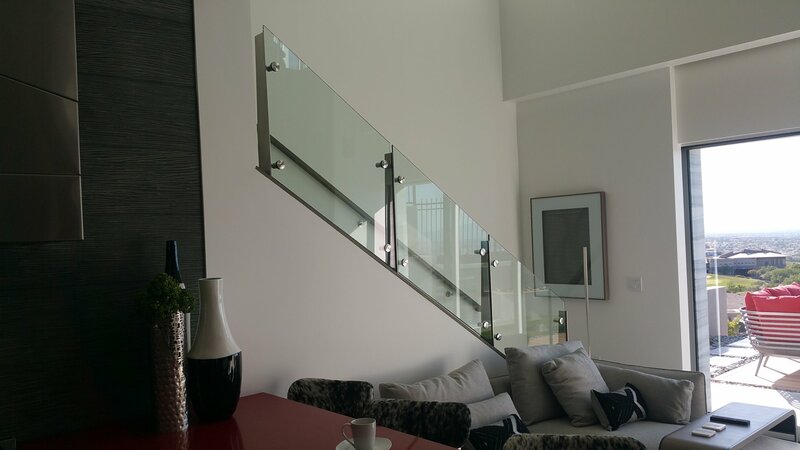 We came up with the perfect solution. 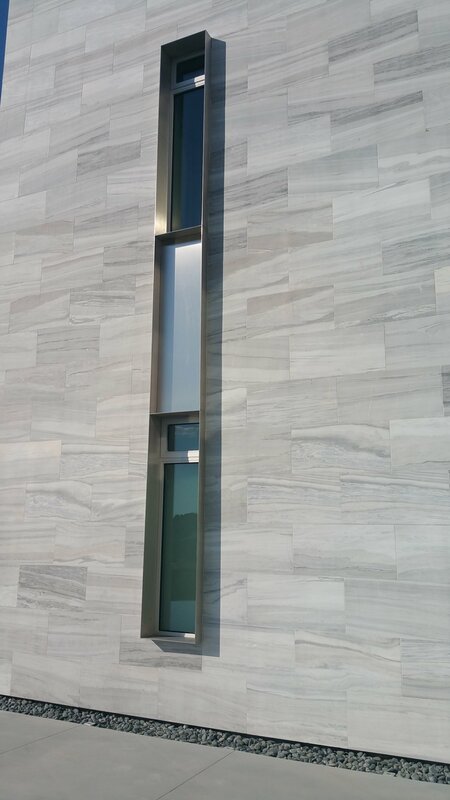 By offsetting the louvers toward the front of the home the windows could still could open and close properly. 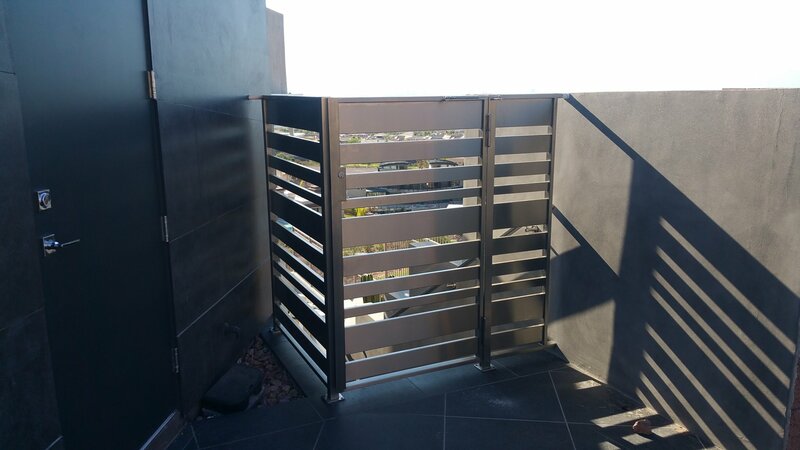 To accommodate the clean, modern design style, we built louvered stainless steel gates with varying width horizontal slats and no visible fastening system. 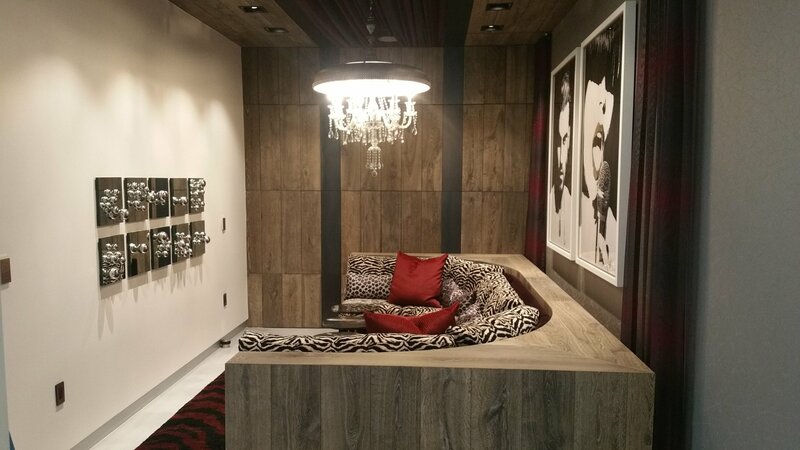 We also crafted ingenious floating bathroom vanities, hot rolled steel fireplaces, trim, boxes, hot rolled steel backing for the wine cellar and wall cladding.